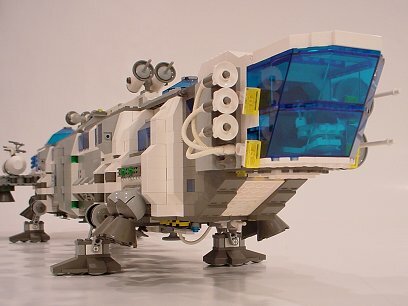 This site is a showcase for my original Lego creations. Most of them are space-themed, but I build in other themes as well. Click one of the images above to see creations from that theme, or check the News to see my latest additions. All content on this site is © 1999-2009 Tony Hafner. Everything you see while poking around in here is created by me except where it is specifically noted. If for some inexplicable reason you want to use anything from this site for anything besides your viewing pleasure, please ask for my permission first. LEGO® is a trademark of The LEGO Group. This is a fan site and is not endorsed, sponsored, or authorized by The LEGO Group in any way. The official LEGO site can be found at www.lego.com.